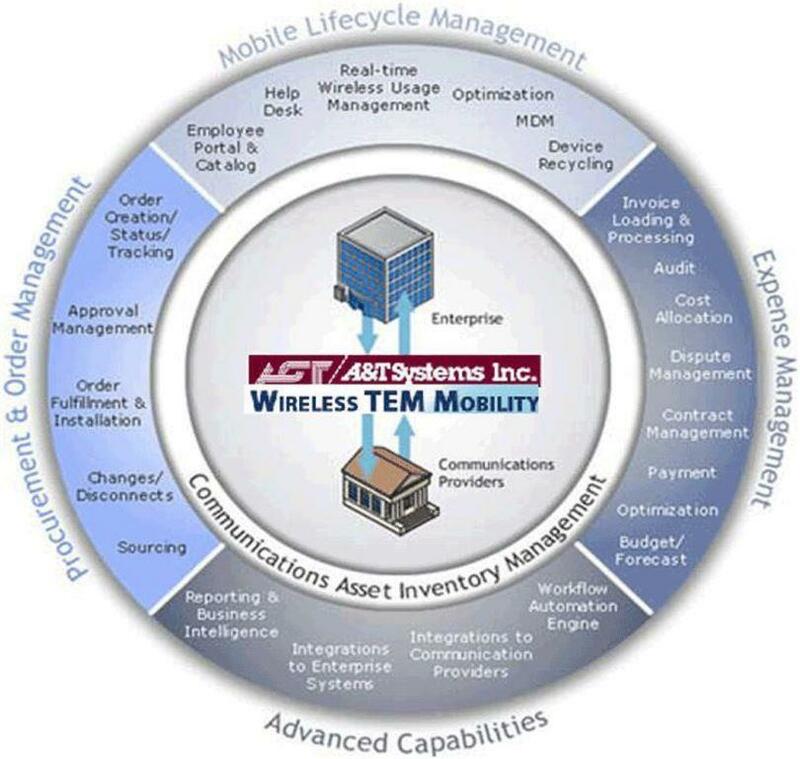 A&T Systems Telecom Lifecycle Management (TLM) Overview: Our SaaS-based TLM services using Amazon Web Services (AWS) provide a comprehensive management solution encompassing both wired (including associated devices/assets such as routers, switches, CSU/DSU) and mobility management to include wireless TEM for ordering, provisioning, reporting, MACD, and expense management. We also offer integration of MDM-MAM that provides mobile security governance for each device across all OSs and Mobile App security containers based on security policies customized of each agency. Our solution is modular to provide maximum coverage in all telecom areas, hence allowing the customer to use some or all the modules most applicable to their requirements, which minimizes the total cost of ownership. Managed services that provide turnkey solution for ordering, provisioning, expense management, billing, reporting, etc. Acquisition, Billing and Usage Reporting: Using A&T’s secure portal, users gain transparency and visibility into their accounts, streamline acquisition processes, access the entire telecom asset inventory, and leverage current infrastructure with dashboards, reporting tools, etc. Our intuitive, secure portal lets users manage service changes and equipment upgrades and manage across agencies, sites, and departments using access-privilege profiles and privilege management.